Office buildings, restaurants, hotels, schools, hospitals, and other commercial and institutional facilities use a significant amount of water and energy in their daily operations. As water, sewer, and energy costs continue to rise, the business case for water efficiency grows. The business community is also increasingly concerned about the risk of shortage and how to help ensure the reliability of the water resources our economy relies on. The following resources will help. Water Wise Gilbert recognizes businesses, HOA’s, and organizations that use water efficiently. Our diverse water efficiency toolkit provides free resources that reinforce the efforts to maintain healthy, attractive landscapes that are watered efficiently, and achieve indoor water use that is leak free and utilizes new technology. Gilbert offers water efficiency checkups, customized water budgets, online water monitoring, technology upgrades, and more- all at no cost. Learn more at gilbertaz.gov/water or contact us at Water.Conservation@gilbertaz.gov. 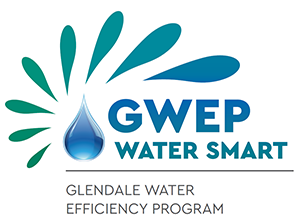 The Glendale Water Efficiency Partner program promotes efficient water use and helps commercial customers identify simple ways to save water and money. The program has indoor and outdoor components that can be used separately or together. 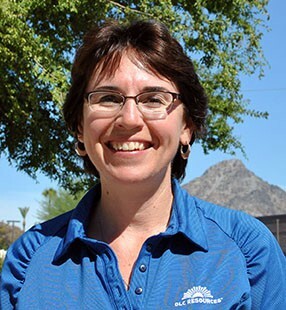 Scottsdale Water has a variety of water conservation programs designed specifically to help commercial and HOA customers reduce their water use. The programs include landscape consultations, interior audits, rebates and other resources. 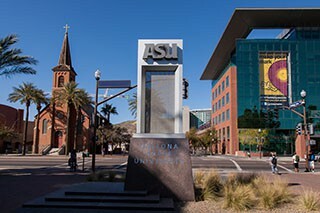 Send inquiries to WaterConservation@scottsdaleaz.gov or visit our website. 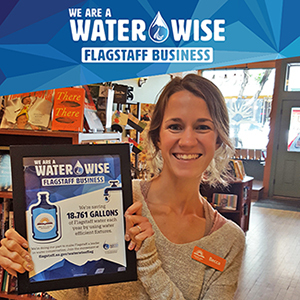 The Water Wise Business Program is a free water check-up for Flagstaff local businesses. 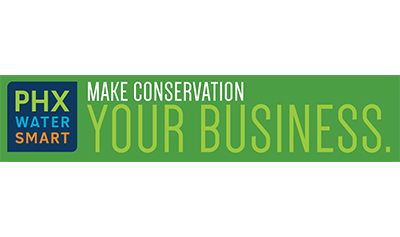 A Water Conservation Staff member will come to your business and thoroughly check and measure all water fixtures and devices. We also provide businesses with free low-flow fixtures during the check up and tell owners about applicable rebates. 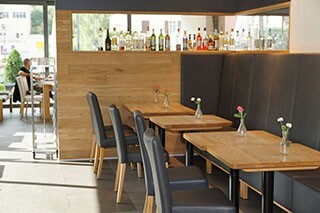 We started with our local downtown businesses and are branching out to surrounding restaurants and hotels. We will be ramping up our hotel and motel outreach this year, so stay tuned for more developments in that sector. Guide to identifying opportunities to reduce water use and to developing and implementing a plan suited to your facility. Includes data sheets to use for planning and consumption tracking and materials for employee outreach and engagement. The WaterSense website provides facility managers, building owners, and other stakeholders with a variety of resources and initiatives to help them save water, energy, and operating costs. 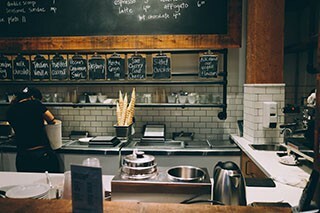 The Alliance for Water Efficiency (AWE) Commercial Kitchens Water Use Efficiency and Best Practices Guide provides day-to-day best practices for reducing water use in commercial kitchens, food service, and hospitality facilities. It includes case study summaries and strategies for efficient management of the most common high-use equipment. Contact your local conservation office or AMWUA to request a copy. Environmental Defense Fund (EDF), AT&T and the Global Environmental Management Institute (GEMI) have developed a set of tools and resources that can help organizations build their own program to reduce water and energy use in buildings. 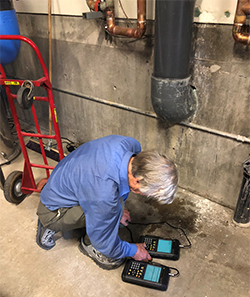 A Water Scorecard and sample audit forms help assess your company's water efficiency, and a Water Efficiency Calculator estimates water and financial savings from cooling tower or free-air cooling improvements. A Cooling System Efficiency Guide and 12-video series provide fundamental information. More often than not, there are big opportunities to reduce water use in the landscape through better irrigation management and regular system maintenance. That can add up to significant cost savings and a healthier, more sustainable landscape. Ask your landscaper what training and certifications they have and how they plan to ensure efficient water use. To learn about many of the training and certifications available and to connect to lists of landscapers with those certifications, click here. Each of the AMWUA member cities has professional conservation staff available to assist the businesses, facilities, and HOAs in their community. Many are building or expanding programs specifically aimed at these sectors. Contact them for more information and to let them know what would be most helpful to your efforts to reduce water use.